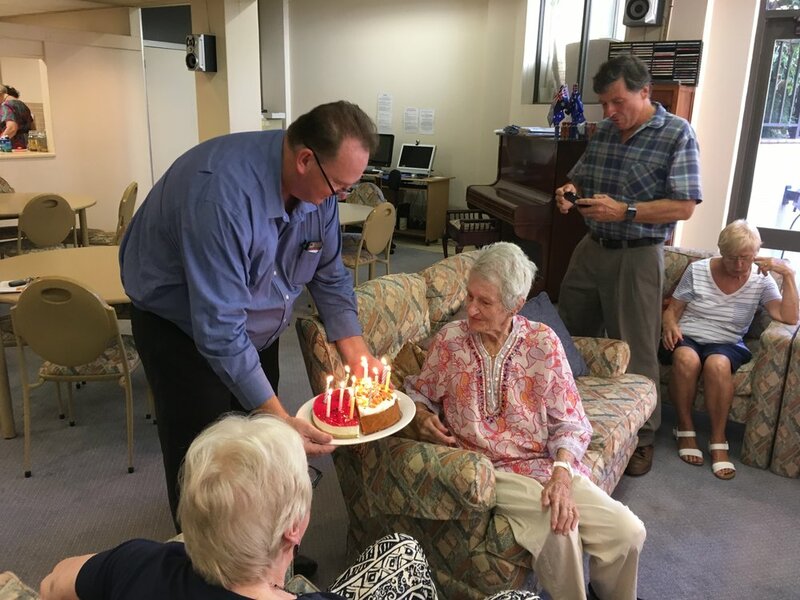 Our Oldest Resident Turns 97! Huge CONGRATULATIONS to Marie, who turned 97 last week! She celebrated in style at the Astra on Sunday, where she was joined by family and friends and many of the other residents. There was food aplenty and drinks galore, and the occasion really served to give a fitting tribute to this wonderful lady. Testament to the family atmosphere, everyone had a lovely time talking to new people and making new friends throughout the day. Marie has had a fascinating life - working as a nurse for many years, she has so many stories to tell and experiences to pass on. Still living in independent accommodation at 97, she is truly an inspiration to us all. For she's a jolly good fellow, and...Hip Hip Hooray! Wow, what a morning! This was such a lovely, relaxed event for visitors and residents alike. People came from all over to look round and to enjoy a beautiful Devonshire tea. 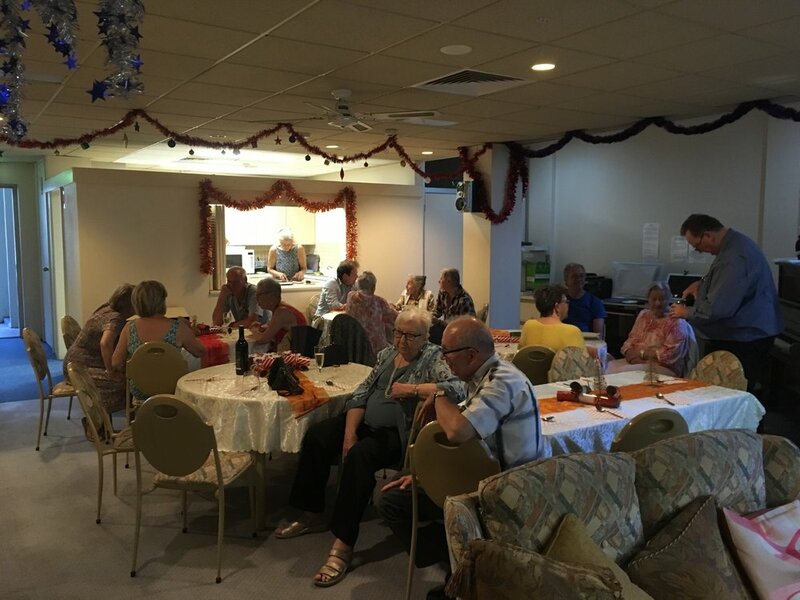 Some of the current residents were surprised but happy to meet people they knew from the local area and to catch up with former acquaintances. There was much laughter and chatting as Aaron took to the stage to give his presentation on living at the Astra. After he had spoken, there was time for a good Q&A session, with lots of thoughtful questions asked. Penny and some of the other residents helped Sam and Aaron to provide detailed answers and to give that all-important inside perspective. Once everyone had filled up on Devonshire tea and all questions had been dealt with, it was time for the tours. One group went up, one group went down, and everyone was able to see all that they wanted to. We had some really positive feedback from people, whether they were thinking of buying or just wanting to take a look for the future. They marveled over the beautiful building and fabulous location. All in all, I think it’s fair to say that it was a highly successful day. Perhaps the weather could have been a little bit nicer, to show off our beautiful beach to its best effect; despite the grey, however, I heard one guest saying “isn’t it a fantastic Bondi day today?” It just goes to show that even the clouds don’t dampen the spectacular effect of our home at Bondi Beach. Come on down to the Astra's open day on Saturday 30th September from 10am! 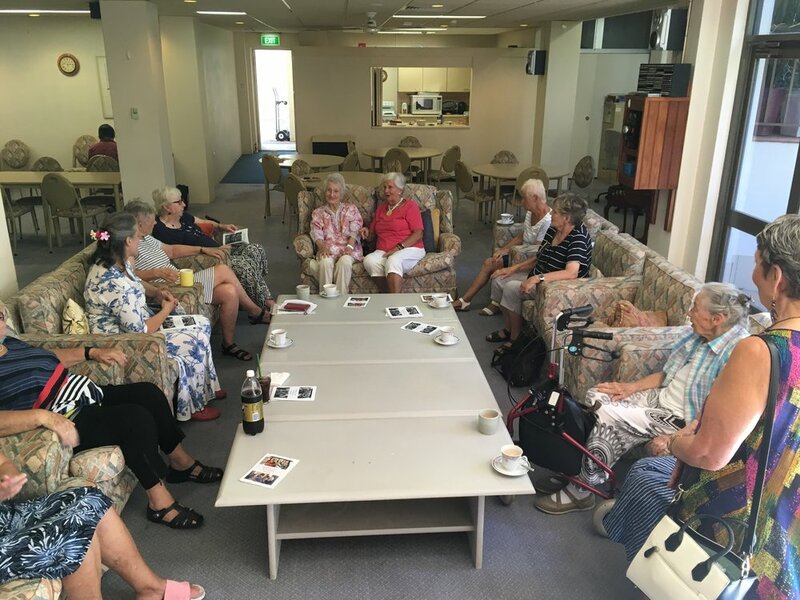 There will be a complimentary Devonshire morning tea, as well as plenty of information, village tours and an opportunity to meet some of our existing residents. Here's an opportunity to find out more about why people love to live at the Astra, across the road from one of Australia's most famous beaches. Don't miss out - book now on (02) 9365 3344. A successful fire drill was held for Astra residents and staff last week, attended by the Fire & Rescue NSW team from Bondi. The Village Manager Aaron gave a short presentation advising us on what to do in the event of an alarm. Some of his handy tips included keeping a torch close by in case of power outages, and making sure that fire doors are closed properly to minimise the spread of fire. The drill itself was supervised by our friendly local fireies and all went according to plan. 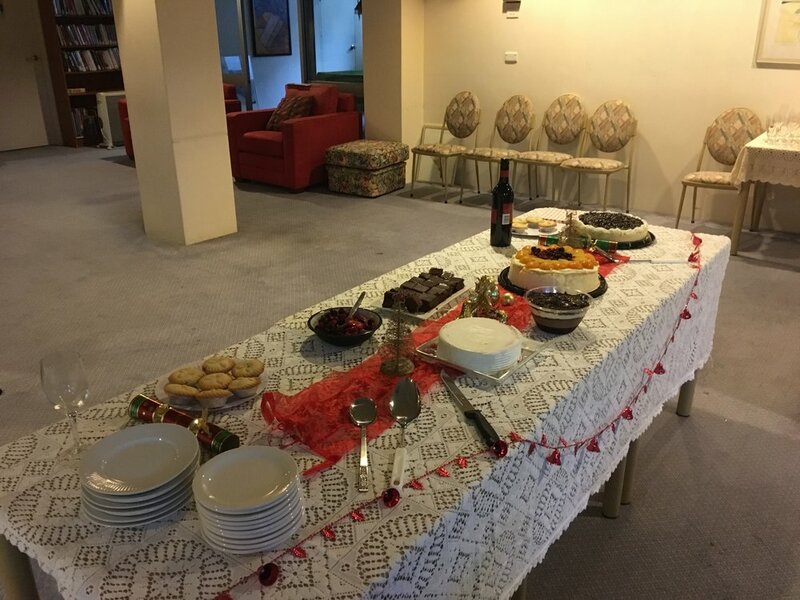 The residents practised leaving the building and assembling out front, the office staff practised directing and checking that everyone made it out safely...and we rounded off the session by practising our tea-making skills with a celebratory cuppa, hot pie and slice of cheesecake! All in all it was a very successful exercise, and a reinforcing of our Astra community spirit. The evening began sedately enough; tables were re-arranged and supplies were sought. As the time grew near, however, the buzz became more noticeable. Slowly, yet surely, the residents began to gather – one, two, a few, half a dozen, a dozen and finally almost half the village had arrived! The mood was merry and bright as we kicked off the proceedings with drinks and chat. After drinks, we walked next door to the Bondi Tratt for a scrumptious meal of turkey, ham and all the trimmings. The atmosphere was festive, the conversation lively, the laughter infectious. Having had our fill of the feast, we retired to the Astra to continue the fun. Music and entertainment was provided by the lovely Keff. Having eaten more dessert than you would think possible after such a huge meal, there was excitement as the raffle was drawn. The prizes were provided by Sam, and the Social Committee worked tirelessly to put the whole shebang together. Festivities continued with dancing and singing to Keff's smooth tunes (even Sam and Aaron joined in the silliness!). Finally the music faded, the plates were washed and Christmas in July was all wrapped up for another year. The weary Astra folks put their heads on their pillows, happy and joyous and full of good cheer.